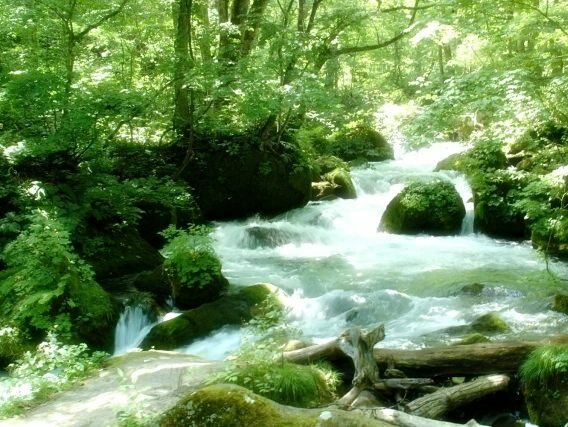 Oirase-keiryu is a stream of the Oirase River, which flows in Aomori Prefecture from Towada-ko (refer to #267) to the Pacific Ocean. 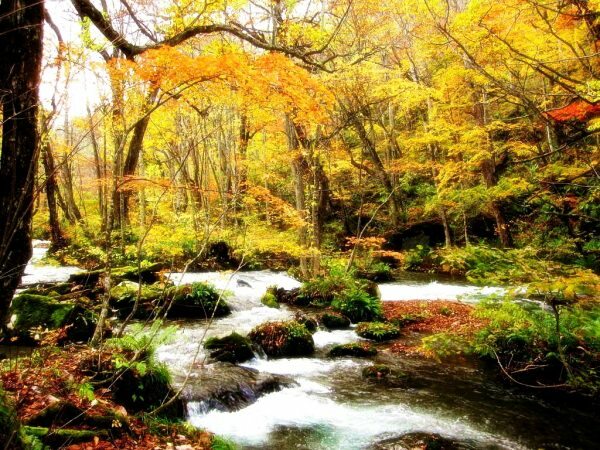 The Japanese word "keiryu" means "stream" in English. Oirase-keiryu is designated as a Special Place of Scenic Beauty and a Natural Monument in this country, along with Towadako. They belong to Towada-Hachimantai National Park.